Lemont—DONVEN Homes has been honored with four Gold Key Awards for their Woodglen Community in Lemont. The Home Builder’s Association of Greater Chicago (HBAGC) Key Awards are considered one of the Chicago area’s most prestigious honors recognizing excellence in the home-building industry. The Key Awards recognize excellence in housing design, architecture, interior merchandising, landscaping, landscape architecture and remodeling. The local awards are sponsored by the Home Builders Association of Greater Chicago (HBAGC), and have been recognizing the best in housing design for more than 35 years. Judges review hundreds of entries and rate them on individual criteria in each category. The Berkshire and Carlyle models at Woodglen were both awarded the top honor of Gold Key for Outstanding Building Design. The Carlyle and Ashton models also won a Gold Key Award and Silver Key Award respectively for Outstanding Architectural Design. Woodglen is truly a rare find, located in an exclusive enclave on the rolling, wooded site of a former 30-acre private estate, featuring carefully designed single-family-style duplex residences. Now, the superior building, wonderful design, and architectural features so many homebuyers have fallen in love with have been officially honored by the HBAGC. The community features two different single-level ranch floor plans and an additional two-story plan with a first floor master bedroom suite. More than two-thirds of the home sites at Woodglen feature walk-out or look-out full basements which have been carefully planned to fit the rolling terrain. All the homes feature individual private backyards. Once you visit the three dramatic luxury model homes in this community you will know you have found something special. The homes feature the upscale designer features, exceptional floor plans, and solid construction homebuyers expect from DONVEN Homes. In honor of the Gold Key Awards bestowed on the Woodglen community, DONVEN Homes wants to make purchasing one of these maintenance-free dream homes as easy as possible. They will work with each buyer’s individual time frame for move-in, while still giving them the chance to lock in today’s special incentive home prices. “We are very proud of the Woodglen community and have seen that once people come out and look at the models and see the beautiful, wooded setting in this very convenient close in location, they know they have found the perfect home. We will work with homebuyers to lock in today’s prices and arrange their individual move-in within the time frame that best suits them,” added Stevens. The award-winning WOODGLEN community consists of 90 luxury ranch and two-story duplex residences with over one-third now sold since officially opening one year ago. Homeowners will enjoy the easy lifestyle and cost-effectiveness of maintenance-free living while still enjoying their own private backyard. 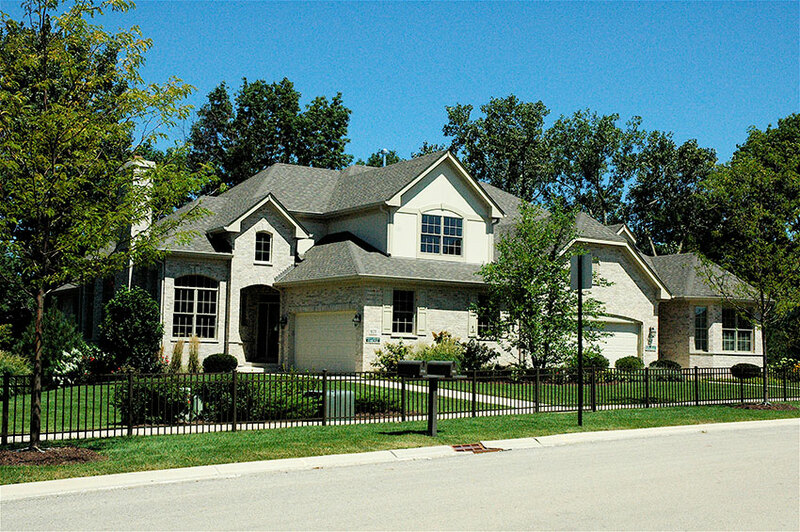 Located in the heart of Lemont, on First Street just south of McCarthy Road (123rd St.), this community is away from high traffic areasâ€¦truly a prized location in a sought-after suburb…Not far away, just hidden away. The Berkshire offers 2,200 sq.ft. of living space and is a still larger luxurious single level ranch home featuring 2 bedrooms plus den, a corner sun room with French doors to exterior patio or deck, 2 full baths, nine-foot ceilings, spacious great room with tray ceiling, formal dining room with elegant columns and tray ceiling, gourmet kitchen including peninsula breakfast bar open to bright breakfast room, master bedroom suite with tray ceiling including 2 walk-in closets and luxurious master bath, large 1st floor laundry room with closet, 2-car finished garage and full basement. The Carlyle is a dramatic 2-story home with 2,600 sq.ft., featuring a 1st floor master bedroom suite with luxurious master bath, 3 bedrooms plus large 2nd floor loft, (a 4 bedroom plus loft option is also available) 2 full baths plus powder room, dramatic 2-story foyer, master bedroom suite featuring tray ceiling, walk-in closets, gourmet kitchen with center island and pantry, bright and spacious corner breakfast room open to exterior patio or deck, nine-foot 1st floor ceilings, elegant living room and dining room featuring 12 ft. ceiling and transom windows, convenient 1st floor laundry room, 2-car finished garage and full basement. The award-winning Woodglen community is located on First Street and McCarthy Road (123rd St.) one mile west of Archer Ave. (Rt. 171) (just 2 miles from the new I-355 interchange on 127th St.). Open from 10:00 A.M. to 5:30 P.M. For more information, call (630) 243-1818 or visit www.donvenhomes.com for floor plans and more information. Prices start in the mid $400â€™s with special incentives now being offered for a limited time.